With 4th of July quickly approaching I’m starting to think about switching up my 4th of July Mantel to more of a general summer themed mantel. 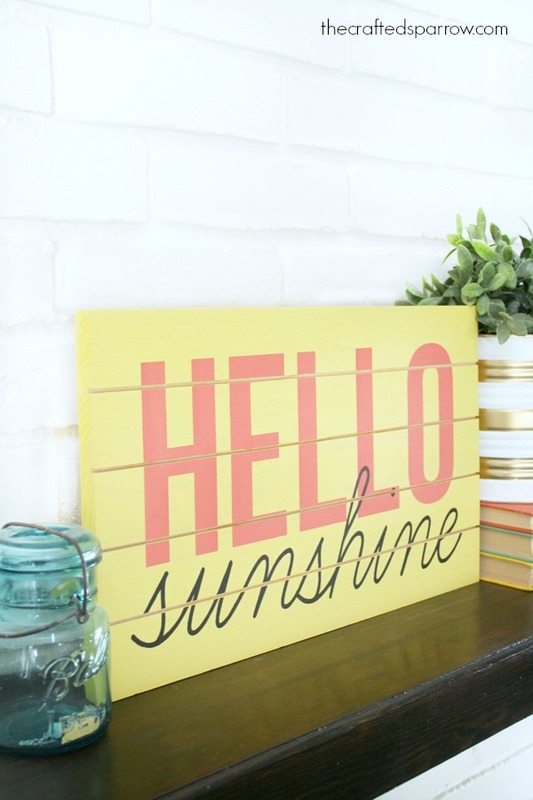 This DIY Slatted Summer Sign will be the perfect addition to my summer mantel. 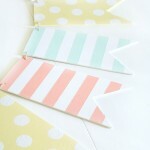 It also happens to coordinate perfectly with the Free Summer Printable, Free Summer Cupcake / Food Topper Printables, and Summer Wood Banner I shared earlier this month. 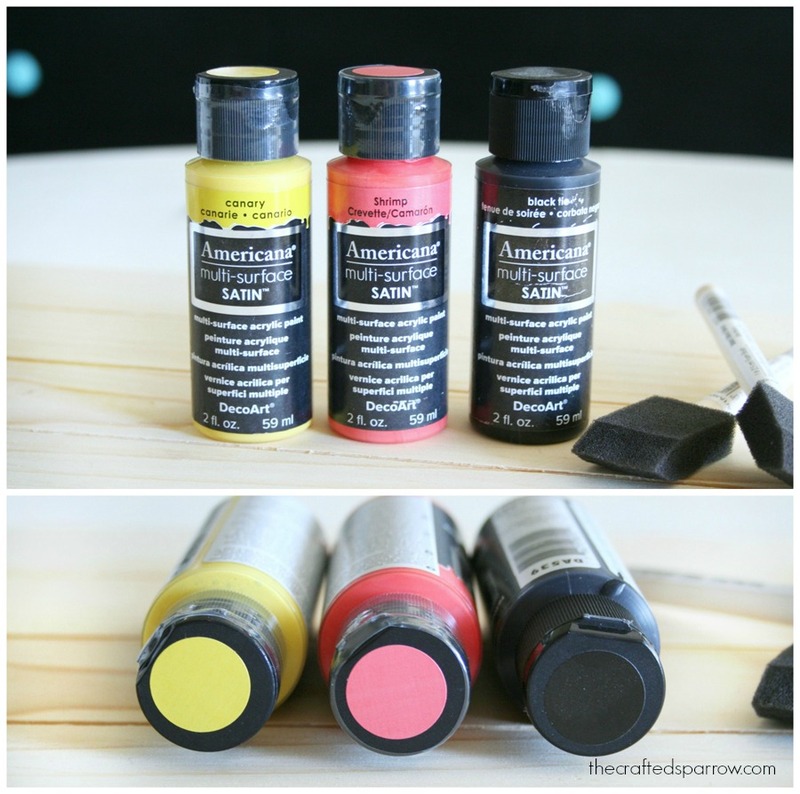 These are my favorite multi-surface paints, they come in some pretty amazing colors and cover so well. 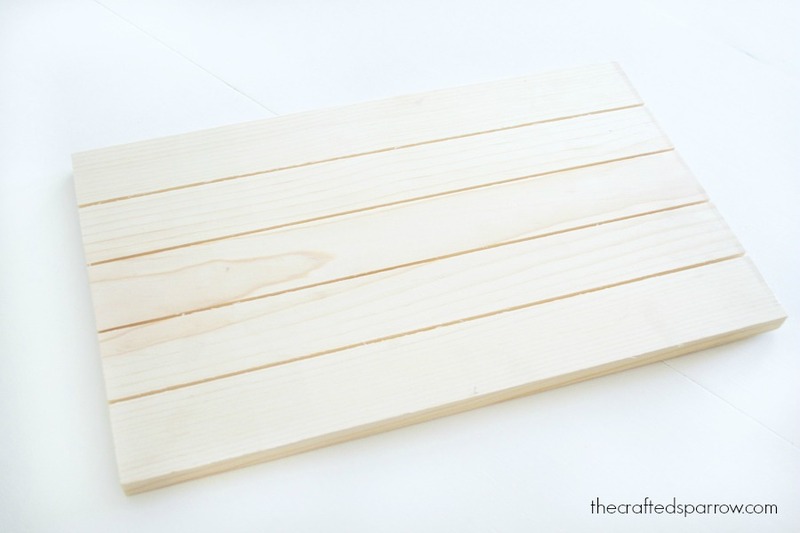 I gave my entire slat board a light sanding to begin with, just to remove any loose or splintering wood. 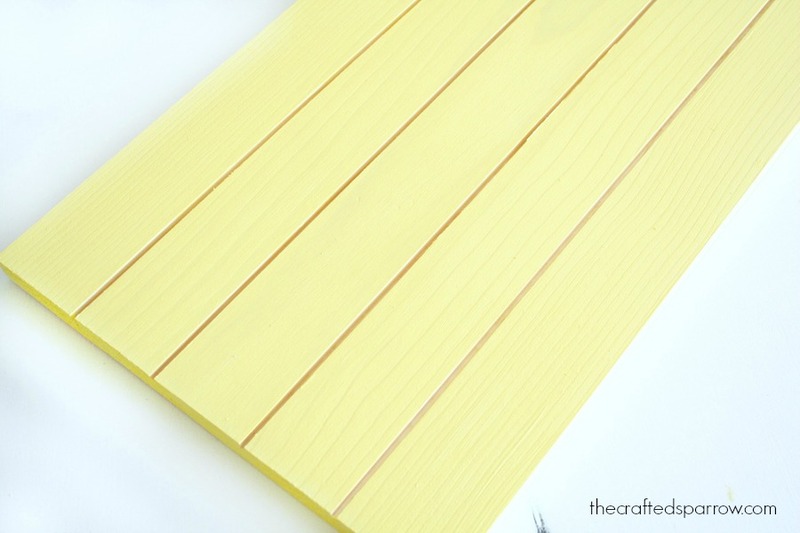 Then I painted the entire board the canary/yellow. It should only take two light coats to cover your entire board. I cut a couple of vinyl stencils with my Cricut Explore machine. 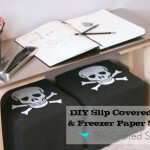 This is optional, if you don’t have a machine you can freehand paint your design or even use a cardstock printed template that you can cut by hand. Lot’s of options. 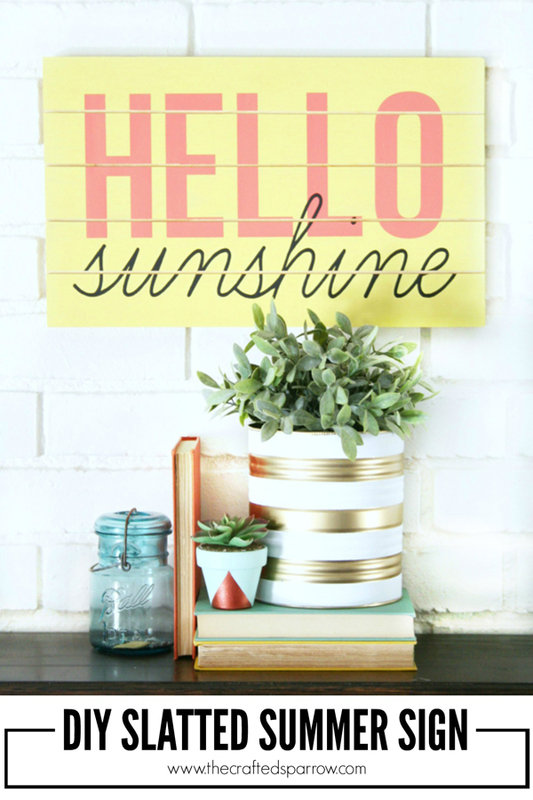 I created two stencils, one with the word HELLO and a second with the word sunshine. 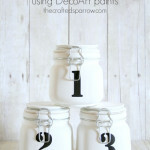 They will be painted in two steps. 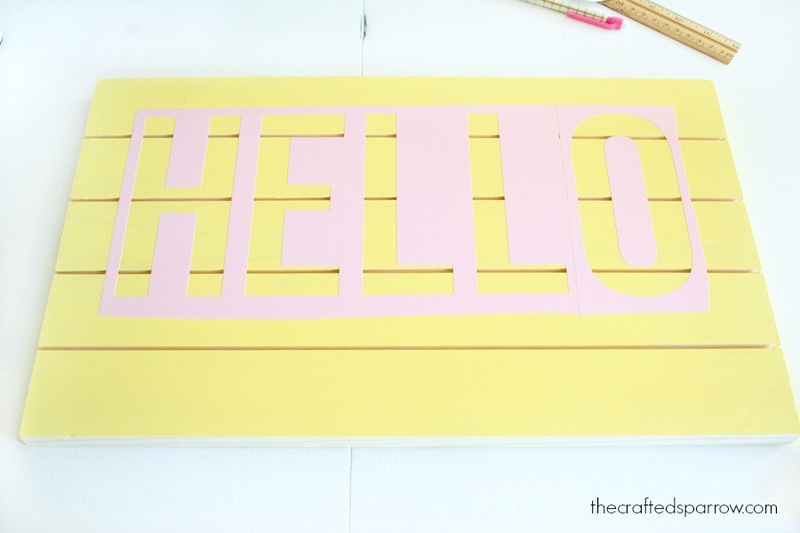 Apply your HELLO stencil first and paint with your shrimp/coral paint. I actually added a tiny bit of the canary/yellow to my coral paint to give it a little more of an orange tinge. Carefully use your foam brush to dab paint on over the stencil to avoid it leaking under the vinyl. 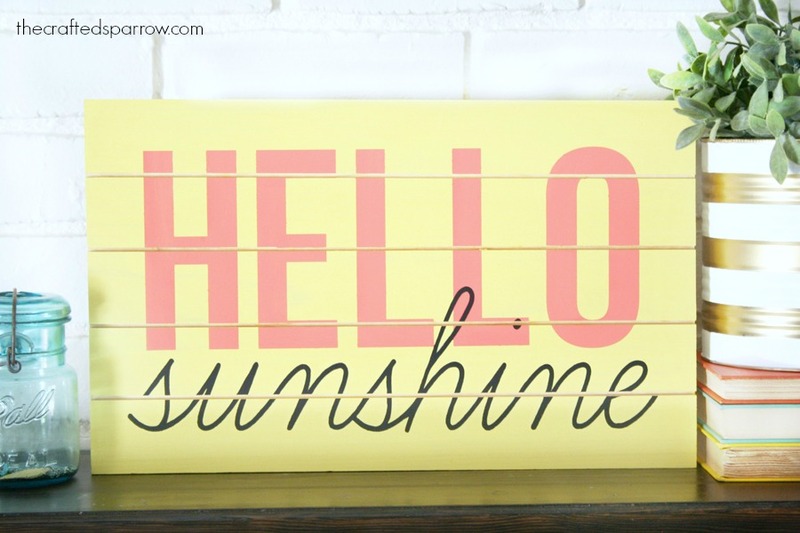 Once the word HELLO is dry you can apply your second stencil for the word sunshine. I slightly overlapped the two words on my sign. Then paint it carefully with your black paint. Tip: on both vinyl stencil steps you want to remove the stencils before the paint completely dries, if you don’t you will risk peeling paint off. 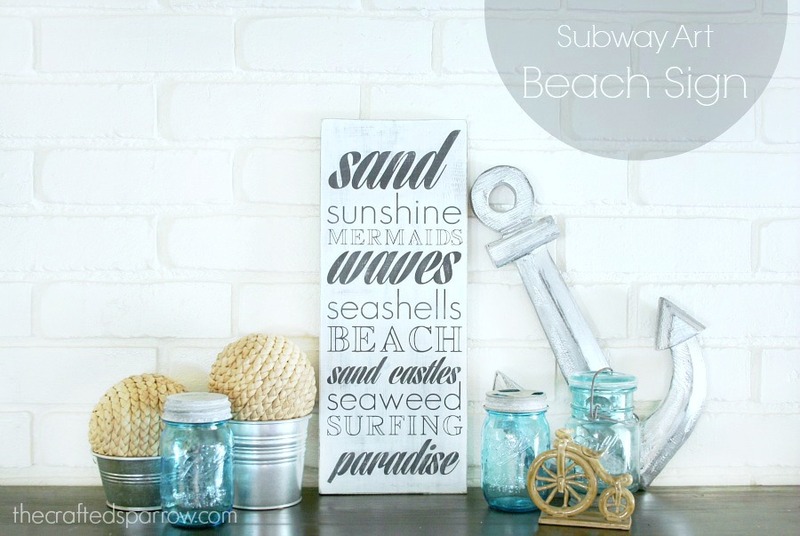 Once everything is dry you have a fun and quick sign that is the perfect addition to your Summer decor. 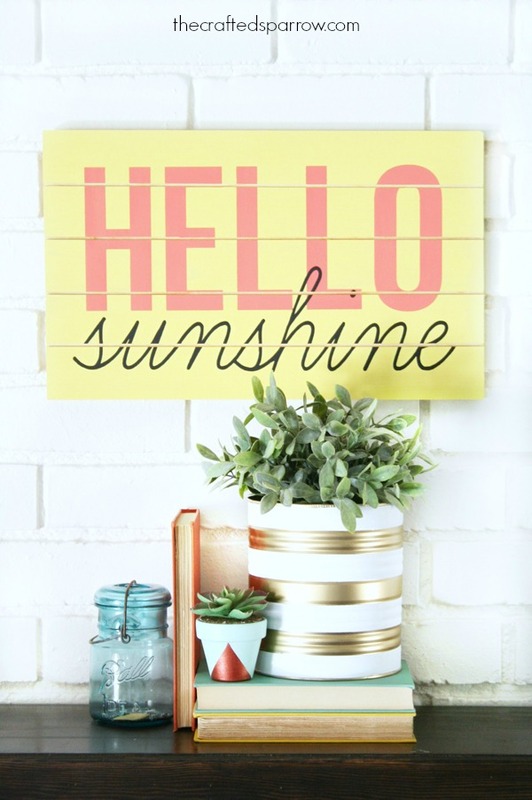 It’s so bright and cheerful I love it! 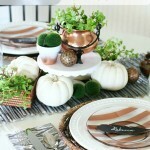 Really cute–and the rest of your decor there totally makes it! This sign makes me happy! It screams Summer. I love it! 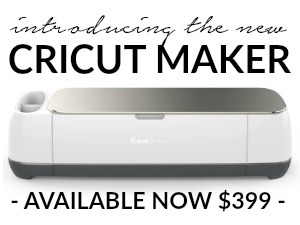 It also makes me want a Cricut Explore even more. Thank you! 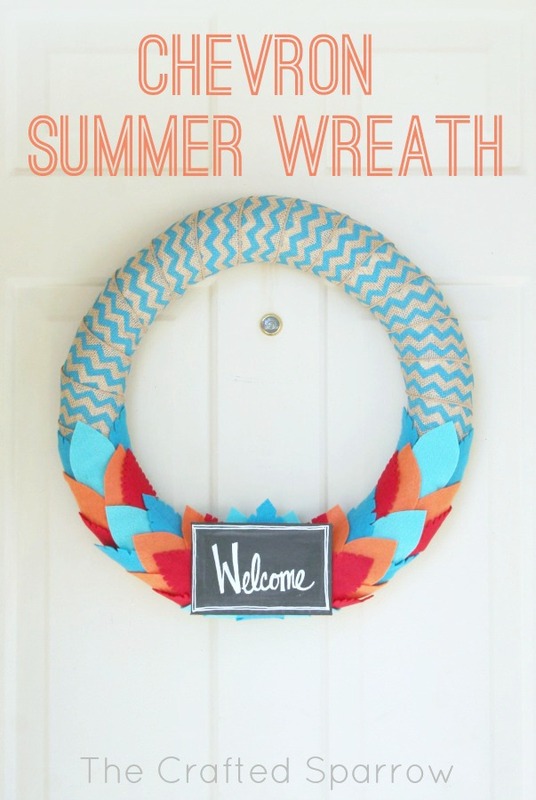 And yes you NEED the Cricut Explore. It’s my favorite crafting tool. 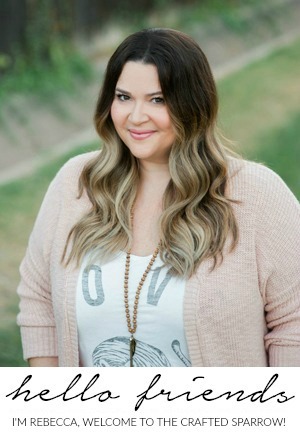 First time visting your blog! 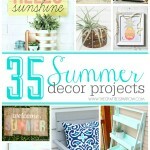 WOW, i pin ALOT of signs and wall decor (DIY) and i have to say THIS is my FAVE! It is perfect and i LOVE IT! You are so talented! Keep up the amazing work! Well thank you Allison! That’s so sweet of you to say. Thank you for visiting, I hope you stop by often. Have a great weekend. Thanks Diane! Have a super week!